New Wave Foods plant-based shrimp had seafood lovers convinced it was the real thing in taste tests. Photo source. 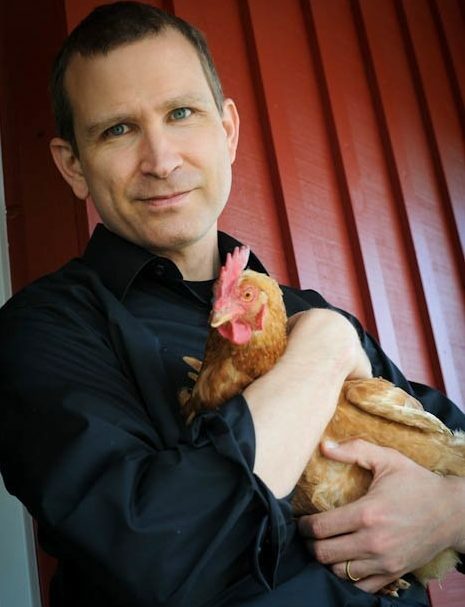 Bruce Friedrich, is excited about the future of meat. The executive director of The Good Food Institute, who works with scientists, entrepreneurs and investors to make clean meat and plant-based alternatives to meat a reality, recently told Nil Zacharias (of Eat for the Planet) that the immensity of interest and pace of innovation in this space has exceeded his wildest expectations. Just being able to order an Impossible Slider at White Castle Burger, he says, and seeing the abundance of animal-free meat and dairy options in grocery stores makes it clear how far we’ve come. In another sign of progress, a recent Neilsen survey finds sales of plant-based meat grew 23 percent in the past year. Friedrich likens the next step in our move to a more sustainable food system to the way humanity phased out other aging technologies. “Driving has replaced horses and buggies. Digital photography has replaced film photography. Cell phones have largely replaced landlines.” He believes phasing out factory farmed meat could be next. That moment can’t come too soon for Friedrich. He cofounded The Good Food Institute in 2016 when he noted that, after being an animal advocate for decades, he wasn’t making much progress. There are still no animal welfare protections in place for farm animals. The overflowing manure pools in hog farms left behind after Hurricane Florence is only one of the most obvious symptoms of the environmental damage done by factory farming. Industrialized animal agriculture is also estimated to contribute 20 percent to greenhouse gas emissions. Plenty of research has established the health risks associated with meat consumption, including a higher rate of diabetes, heart disease, and cancer. And yet last year more meat was consumed on average by each person than ever before in U.S. history. The prediction for 2018 is even higher. After spending many years urging people to eat less meat, Friedrich has concluded the desire for the experience of eating it may not change. But the way we produce meat can, which is why he has pivoted to support the tech start-ups who have taken on that challenge. Since its inception, The Good Food Institute has entered into partnerships with dozens of companies that rely on plants and animal cell technology to produce environmentally-friendly burgers, chicken, fish, and eggs, including Memphis Meats, Finless Foods, and JUST. So will people eat food that tastes just like the meat people are used to eating, without the animal? It may take more educating to get there. A poll produced by The Sentience Institute found 49 percent of US adults want to ban factory farming. But in the same survey, which polled close to 1,200 Americans, 75 percent of respondents say they usually buy humane animal products even though government Census data suggests fewer than one percent of farmed animals live on non-factory farms. In another study shared at the recent Climate Summit in San Francisco, only six percent of Americans think there’s a connection between eating meat and global warming. The Good Food Institute is working with investors, including Eric Schmidt of Alphabet and Bill Gates, to help change the somewhat rosy perception of our current meat supply. It also has a presence in Washington where it’s working to clear regulatory hurdles. Thanks in part to the growing global cost of antibiotic resistance, which is projected to be $100 trillion dollars by 2050, he believes the alternative meat industry will get necessary support from the FDA, which is charged with ensuring the safety of our food supply. Takeaway: Clean meat may not be broadly available for a few years but plenty of plant-based alternatives are available now. A few of Friedrich’s go-to options include Impossible Foods and Beyond Meat, now selling in major grocery stores. Want more dairy, cheese, and other tasty meat-free options? Check out the grocery list of alternatives vetted by our own team of good food foodies.